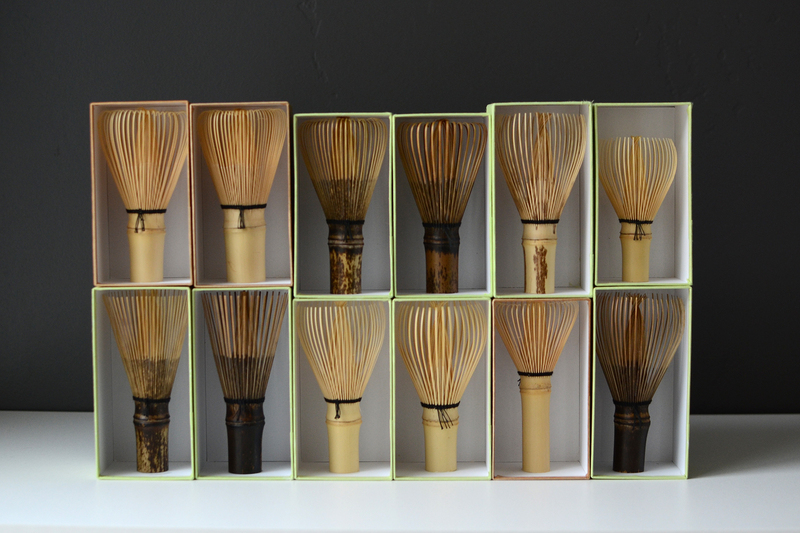 At Entoten, we carry a wide variety of the highest quality tea whisks made by Tanimura Tango, the master maker from Takayama Nara. 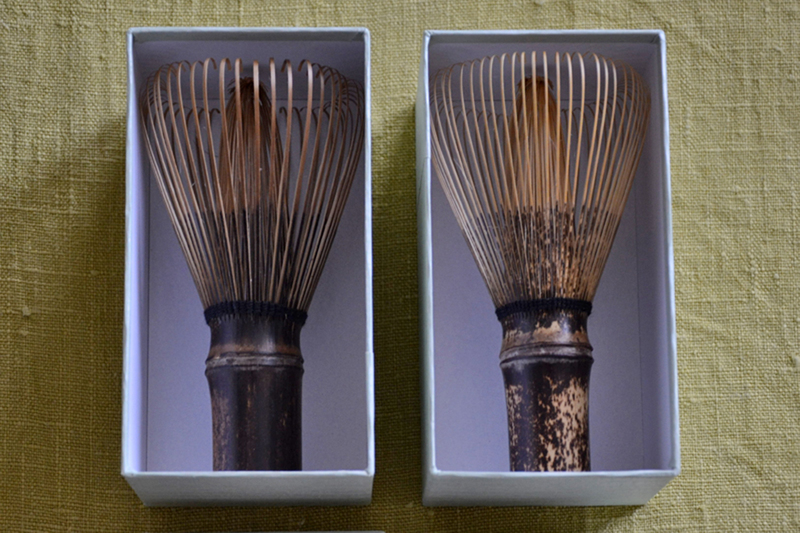 His family has been making bamboo tea whisks for the last 500 years. With many different forms and types of tea whisks to choose from, customers have asked me how to go about choosing the right one for them, so here is my guide to choosing the tea whisk that is most ideal for you. 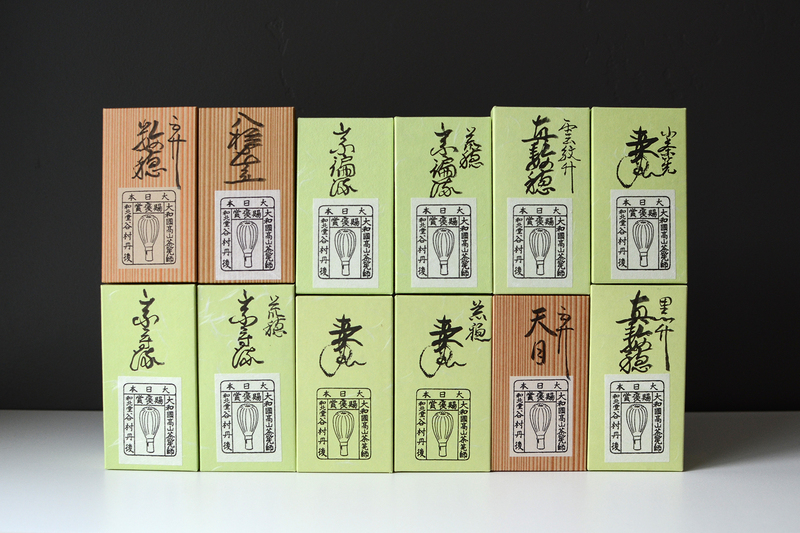 Entoten carries a wide variety of the highest quality tea whisks made by Tanimura Tango. I think the most popular way to prepare matcha in the U.S. is with lots of foam on top. This is a thin type of matcha called usucha. 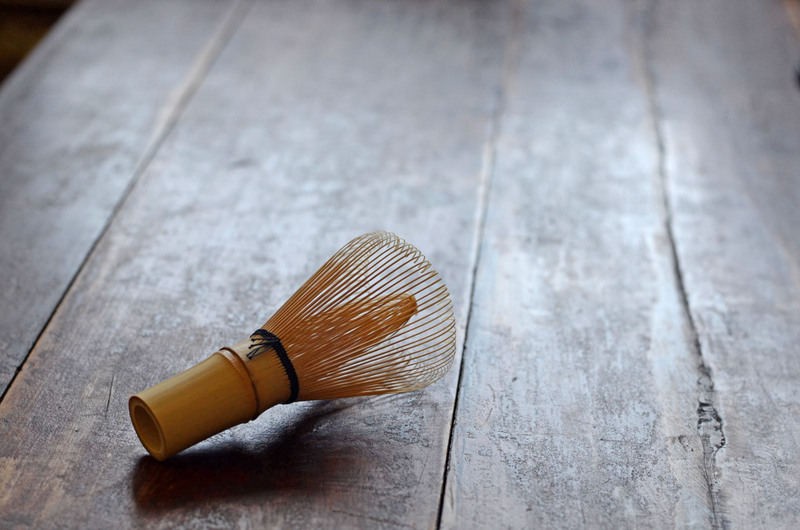 If you are new to preparing usucha, then the best whisk is either kazuho or 80 hondate chasen. These whisks have approximately 70-80 tines and they are also the most widely available forms of tea whisks on the market. The curled tips of these whisks allow for the tea to be efficiently stirred to create foam. 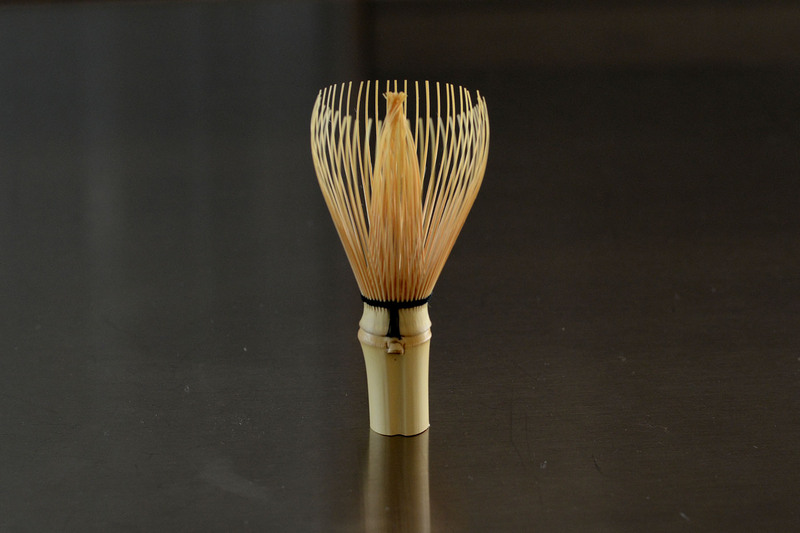 If you are already an experienced tea whisker, then I urge you to try the shin-kazuho tea whisk. This type of whisk has approximately 70 lightly curved tines, and while it requires a little getting used to, it excels at creating very fine foam and less bubbles. The bonus is that the tines do not break as easily because their tips are not curled. 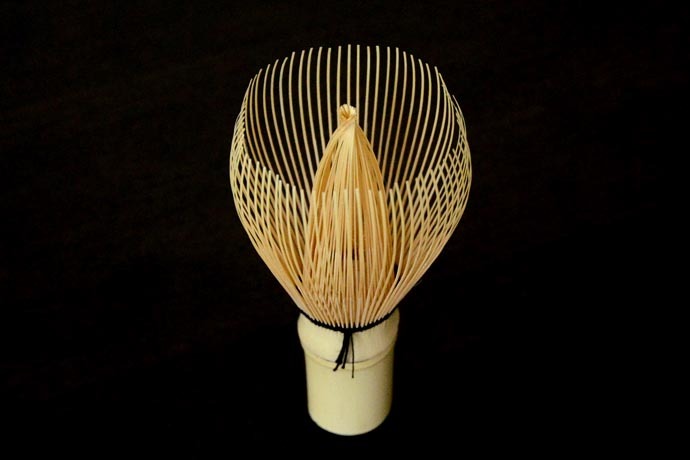 This type of whisk in white (hachiku) bamboo is used by the Grand Master of the Urasenke tea school. I also want to point out that, contrary to popular belief, creating lots of foam is not the only ‘correct’ way to prepare usucha. 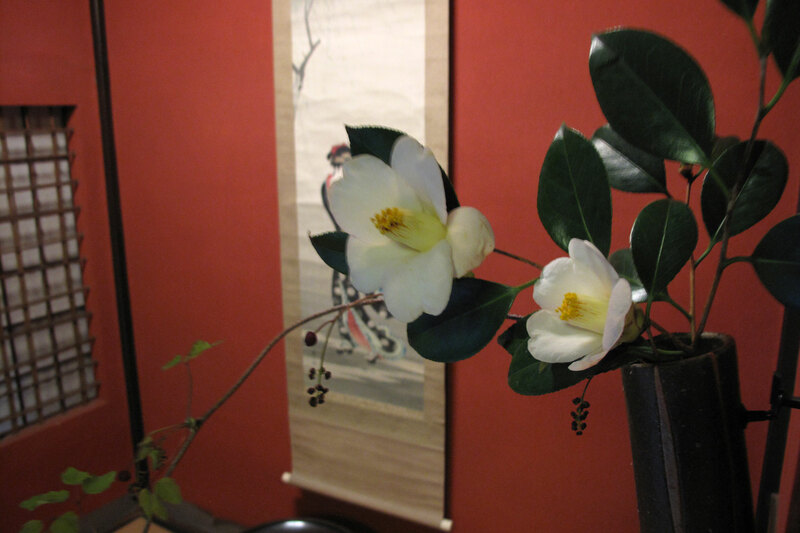 While the Urasenke tea school prefers to make its tea with lots of foam, other tea schools and their masters prepare their tea with less foam, like Omotesenke and Mushakouji-senke for example. 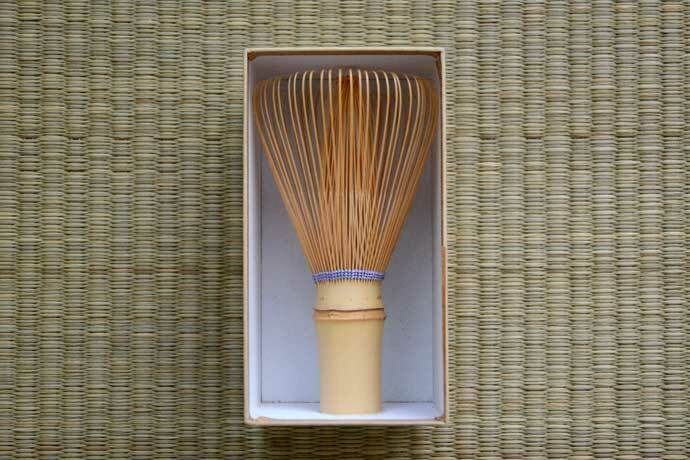 Soshuryu whisks used by Mushakouji-senke are straight-tined, precisely to create less foam. Personally, I think usucha with less foam allows for the delightful umami and bitterness of tea to be more clearly tasted, and for the flavor to linger longer in your mouth afterwards. 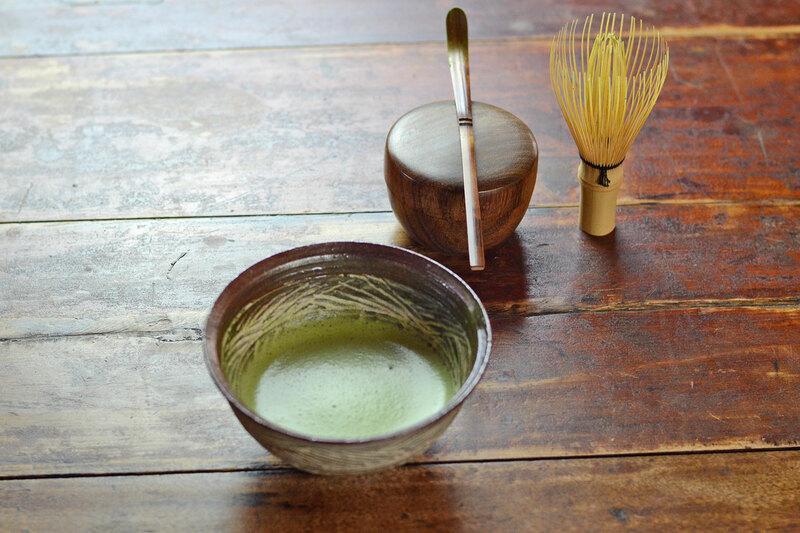 Contrary to popular belief, making lots of foam is not the only “correct” way to make matcha. 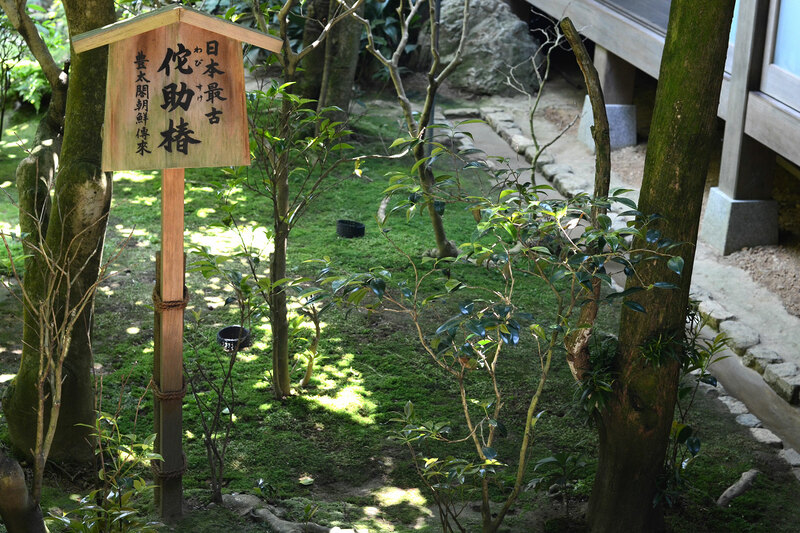 The Omotesenke and Mushakojisenke tea schools, for example, make tea with just enough foam so that there will be a ‘crescent moon’ of green lake left on the surface. 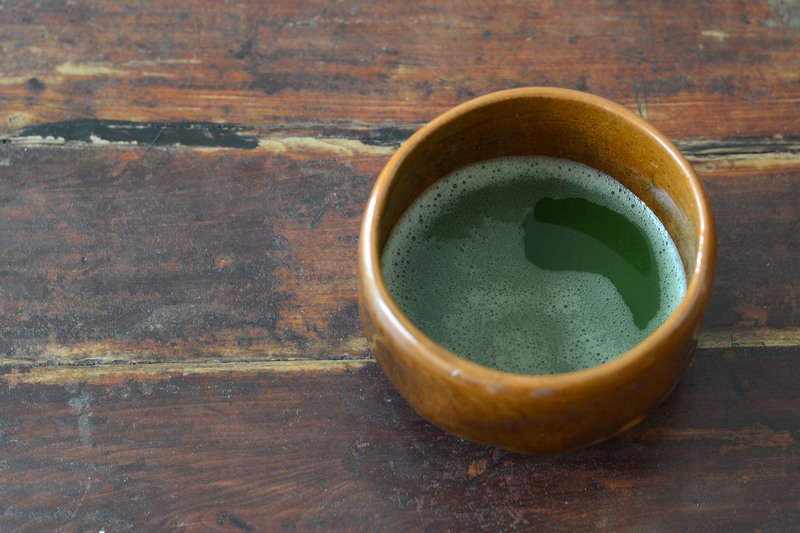 A less commonly prepared but delicious version of matcha is thick tea, or koicha, which is made with a lot of powder and little hot water to create the consistency of a gravy sauce. If you regularly prepare thick tea, then rough tined whisks are recommended. These whisks have thicker tines that do not break while you mix the koicha. 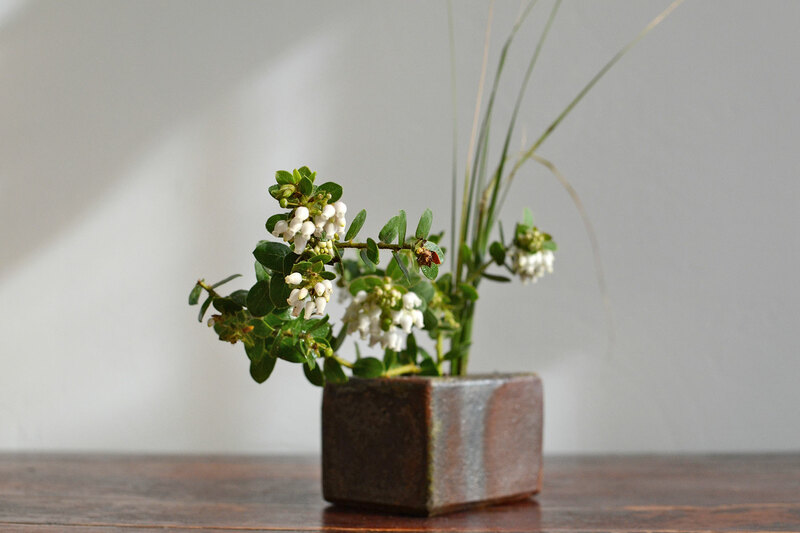 If you only occasionally make thick tea, kazuho or shin-kazuho tea whisks may also be used for this purpose. The tea whisk is meant to be regularly used and ultimately the tines will break and the handle may crack, at which point it should be replaced. When you are looking for a new whisk, I hope that you try out many kinds of whisks and not restrict yourself to a certain school or form. 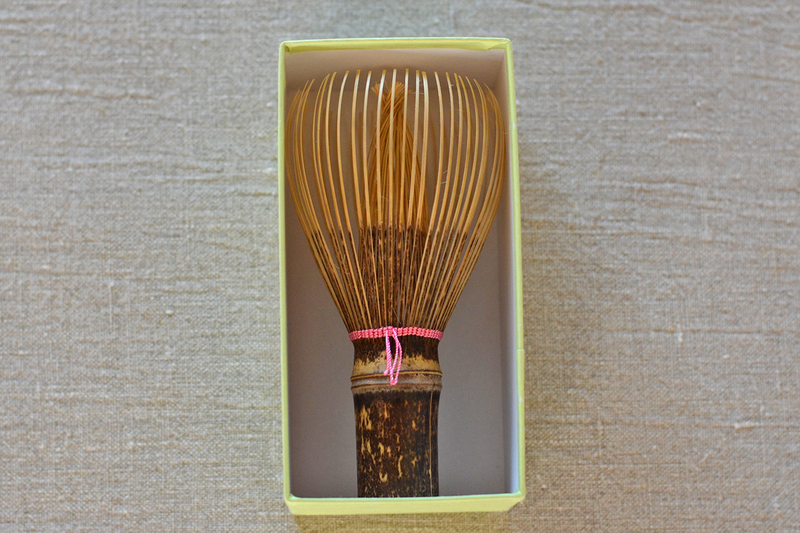 Special edition Shin-Kazuho black bamboo tea whisk with pink string. 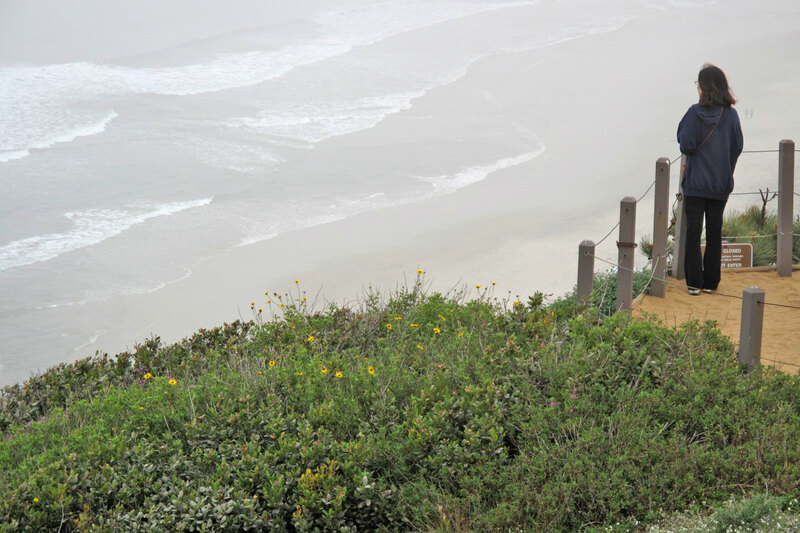 Tea should be fun and whisks should be chosen freely to match your mood and the seasons. 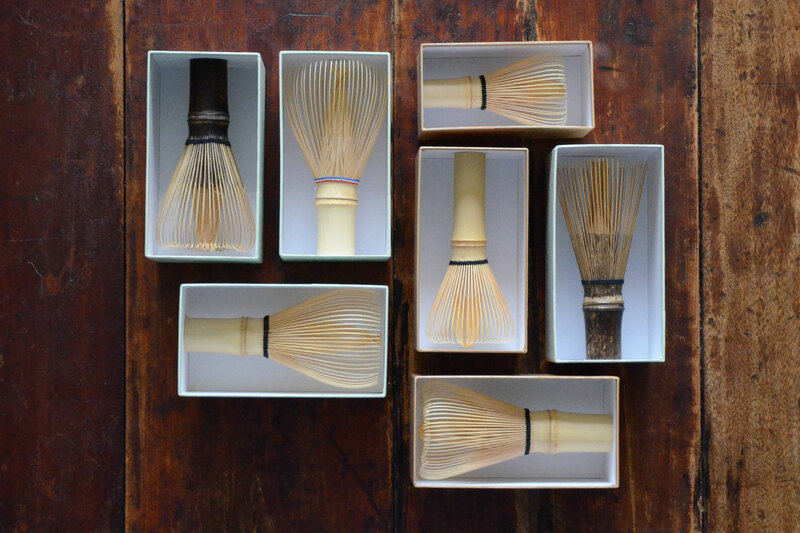 Black bamboo tea whisks, for example, are less commonly known but their dark austere appearance may perfectly match with your tea bowl. Tea whisks tied with different colors may be chosen according to your mood, the seasons, and your own preferences. 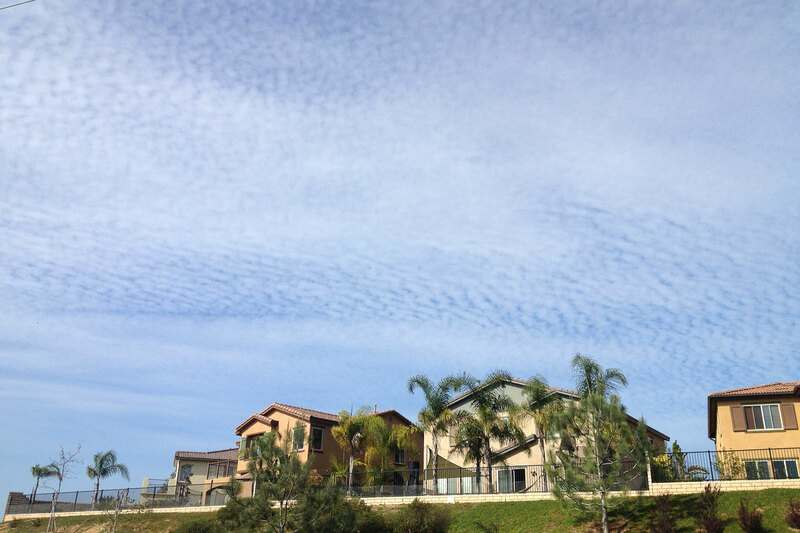 Rest assured that every whisk is made with the utmost care by the Tanimura family. 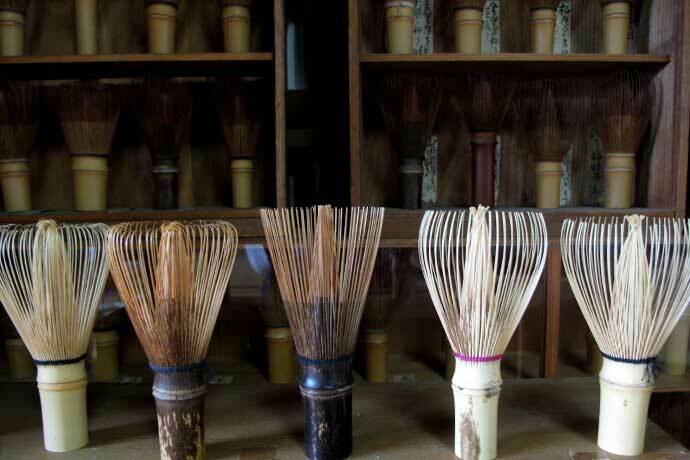 You can read more about the process and attention that goes into the making of these tea whisks in my blog post about Tanimura Tango.